Thanks for taking time to visit our new photography page. If you were at a previous event ~ Get Your Photo's HERE. Offering clients a price friendly solution of having pictures that they want taken at their Wedding, Engagements, Work Parties or Private Event. Aaron Owen has been working in the Wedding Services Industry for many years and has now made it his business to give clients 100% dedication to every customer and event. 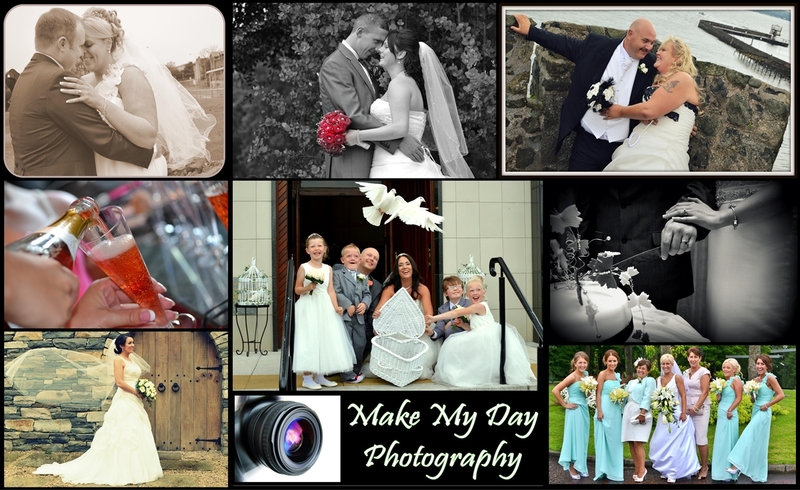 Already having had much working practice and knowledge of what it takes to shoot a great picture - The Make My Day team will be more than capable of handling your event... From capturing precious memories of the momentous occasion to the fun shots taken at a party. Already we have shot various Weddings and Events compiling photo albums and picture discs to happy customers. Our philosophy is to be polite and helpful at all times and to shoot pictures at a distance that is comfortable for you and your guests. Having your packages as an all-in-one solution can help promote unification and rapport building. By operating in a maner that can allow you to relax and enjoy your special occasion - Make My Day could be the photographers for you!